Why I`d make a great companion: ~I am 7.19 lbs of gorgeous! ~I like to perch on my cat tree and survey my kingdom, especially the birds out the window! ~I`ve never been a big magic fan, but I love feather wands! ~Dogs are onto something about belly rubs, they`re the best! ~My idea of self care is a dark cozy spot and a mouse full of catnip! A girl needs her me time! 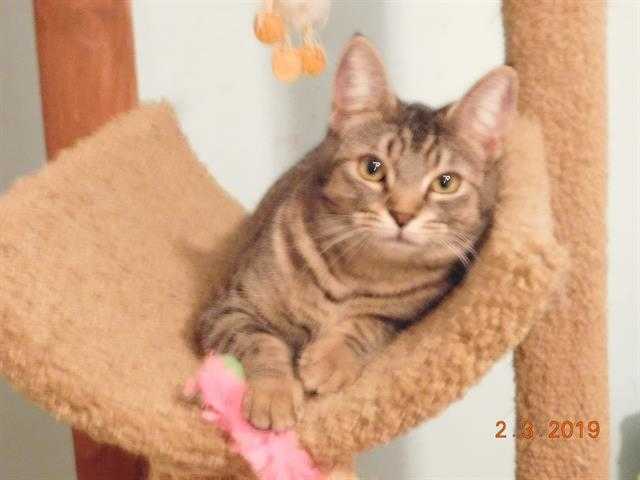 Unique things about me: ~My adoption fee is $50.00 ~I am currently in foster care until I find my new family! ~Please call our adoption department at 602-997-7585 Ext 2145 to ask how to meet me! The Arizona Humane Society is the state's largest, private non-profit, 501(c)(3) animal shelter. We do not receive any government funding and operate primarily on the generosity of our donors. To learn more about the Arizona Humane Society, including animal adoption, programs, services and events, visit azhumane.org.